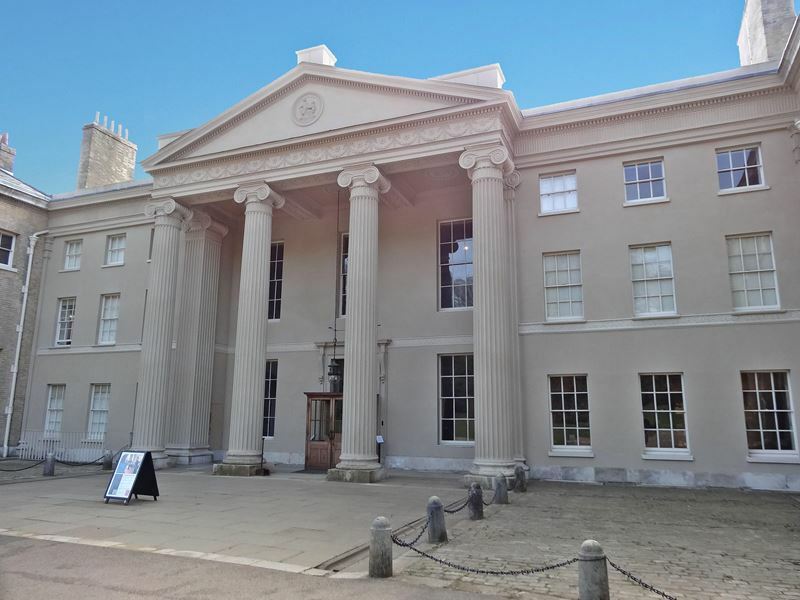 Tip: In many rooms of the Kenwood House you will meet very nice volunteer assistants who will be pleased to tell you personally more about the house and the art work. Do not miss this opportunity for an informative and friendly conversation with a local. 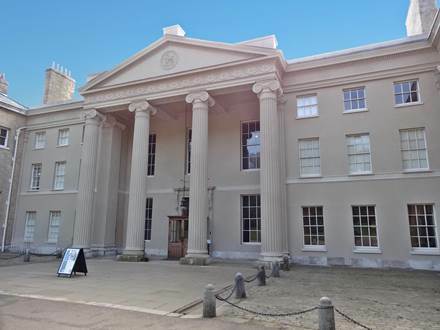 The Kenwood House in London is a historic British house and is located in the north of London. The origin of the house dates back to the 17th century. At that time the house was located in the countryside. Today the beautiful villa is in the city. Nevertheless, today it is still surrounded by greenery, as it lies on the edge of the huge park Hampstead Heath. Perfect for tourists who want to combine a long walk in the countryside with a cultural highlight. The country house itself is actually not a museum, but with the history of the house, the impressive interiors and the spectacular art collection you will get a closer touch to the past compared to some museums. Like as in the most museums of London the entrance is free of charge. Unfortunately there is no underground station nearby the Kenwood House. A bus station of the line 210 is located approx. 300 m away from the historic house. The easiest way of arrival is by the Northern Line underground to the station Archway. At that station you can take the bus line 210 towards Brent Cross. After a ride of approx. 10 minutes you should exit at the bus stop Compton Avenue/Kenwood House. If you like to have a view at the skyline of London and do not mind to have some additional steps, get off the bus one station earlier (Station Stormont Road). 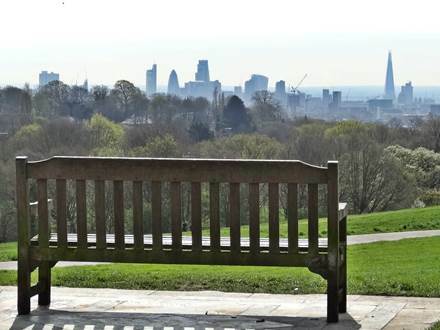 Walk into the driving direction of the bus and take the first entrance to the Park Hampstead Heath. From there a path leads to the Kenwood House and offers some views at the City of London. 1. The Library is the centerpiece of the historic premises in the Kenwood House. This room was painted with the original colors in baby blue and soft pink and is equipped with some original furniture since the renovation in the year 2012. Especially worth mentioning are the magnificent ceiling paintings from the 18th century. 2. 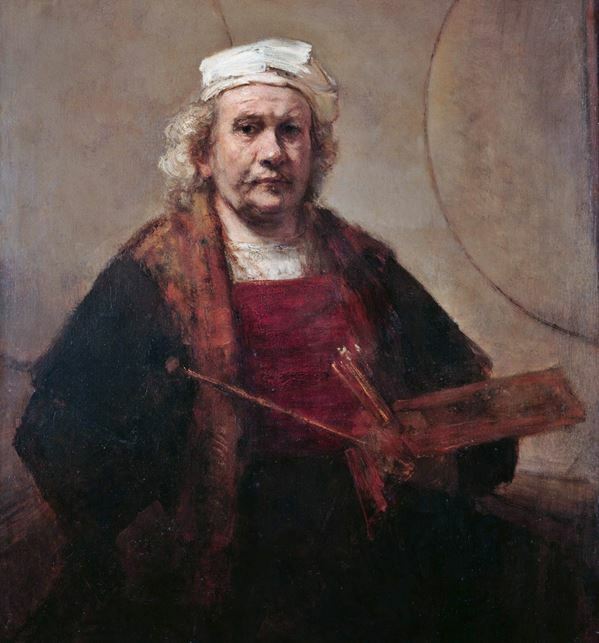 The Rembrandt Self-Portrait displays the world famous Baroque artist at the age of 54 years. This masterpiece shows him at his work with a color palette and some brushes. At this time Rembrandt was socially isolated and in financial trouble. The impression which this painting creates does not remind at a successful painter but at this difficult phase in his life. 3. The painting The Guitar Player was painted in the year 1672 by the Dutch painter Jan Vermeer. 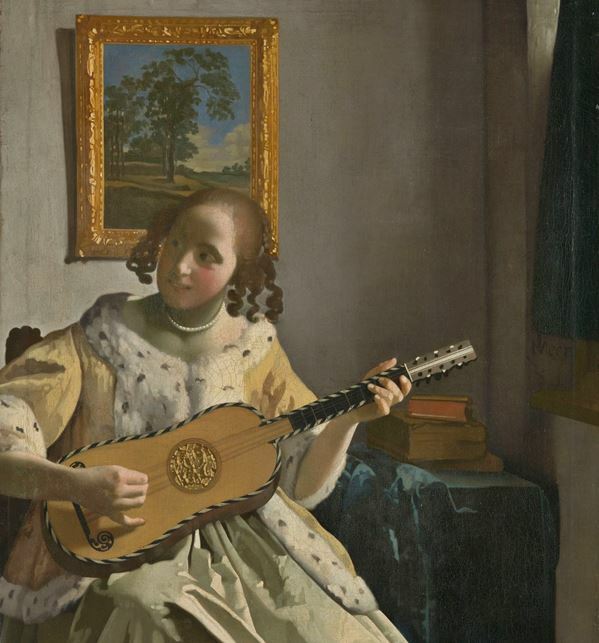 The represented girl is probably his daughter and she is just interrupted while she plays the guitar. Have a look at this painting and discover the magic of this immortalized moment. The artist has captured this short moment in ultimate perfection for the art loving people in the future. 4. Almost in every room of the Kenwood House you have the possibility to ask some Volunteer Assistants about the history of the house and the exhibited artworks. These assistants are throughout friendly and in most cases very competent. Many visitors report about their good experiences with this opportunity and appreciate the personal contact. 5. 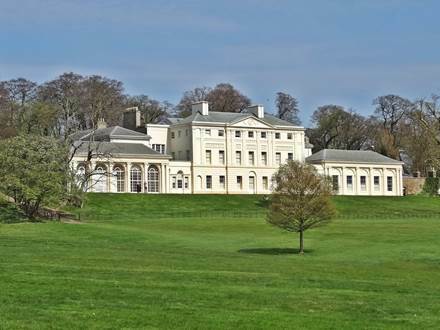 The park Hampstead Heath is located directly beside the Kenwood House. This huge parkland, with an total area of about 320 hectares, is well suited for a long walk surrounded by greenery. Besides a walk through forests and meadows with some ponds you can also reach some nice viewpoints here.